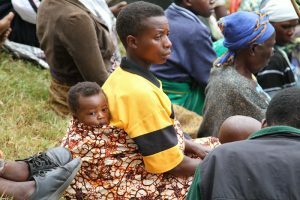 ” 8.6% of children in Kabale (aged 12-23 months) are receiving a minimum acceptable diet. Only 43.6% of mothers with children 12-23 months who consumed a major food”. Kabale district is challenged by child malnutrition in Uganda, there is a desperate need for child rehabilitation services. 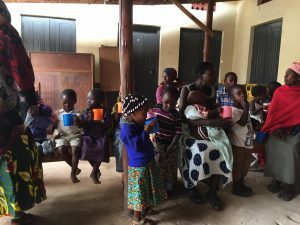 The Nutrition and Rehabilitation Center helps to educate the people of Kigezi about child nutrition and demonstrate how families may provide a nutritional diet in an economical manner. Severely malnourished children are referred to the Nutrition Center by local hospital and KIHEFO staff working in the field. 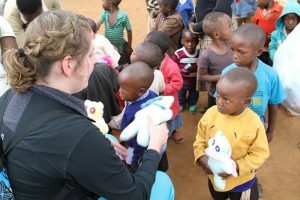 Ideally the children will remain at the center for three weeks to three months depending on the severity of their condition. The Centre is responsible for rehabilitating these children as well as administering an educational program to their mothers. Mothers are taught the vital components of a balanced diet using foods that are available and economically affordable to them. Information on how to prepare the foods necessary for a balanced diet in order to aid the prevention of recurrence of malnutrition at the household level is disseminated. 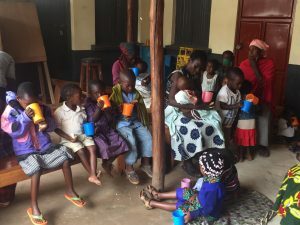 The Nutrition and Rehabilitation Center also conducts educational campaigns in the villages targeting mothers on how to prepare balanced diet to their infants and other children in the family. Mothers are encouraged to enroll with the Rabbit project to increase their sources of Protein at affordable cost.